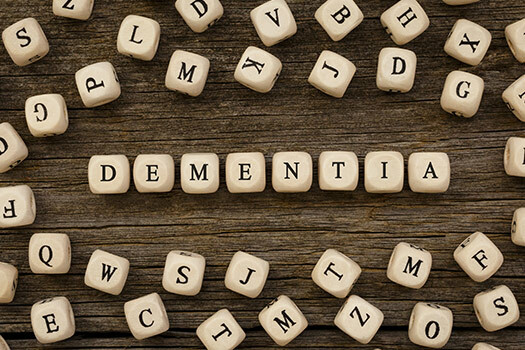 A diagnosis of dementia often comes with misconceptions on the part of people who are not fully informed about the aspects of the disease process. The seniors with cognitive impairment may feel a wide range of negative emotions ranging from disbelief, anxiety, and depression to lowered self-esteem. Living with dementia symptoms and understanding how the condition progresses may lead to a failure to thrive. However, there are ways family members can empower seniors with dementia and enhance their quality of life. Living with cognitive impairment does not mean your loved one will not appreciate interacting with family members, friends, or people in the community. In fact, cutting ties or distancing yourself from your loved one increases the likelihood of depression and loneliness. Include your loved one in family get-togethers and accompany him or her to social gatherings if necessary to boost his or her wellbeing. For families living in Pawleys Island, SC, respite care can be a wonderful solution when their aging loved ones need companionship and socialization a few hours a week or just need minor assistance with daily household tasks. At Home Care Assistance, we thrive on helping seniors maintain their independence while living in the comfort of home. When enjoying a conversation your loved one, listen to what he or she is trying to convey. Your loved one may lose the ability to express him or herself clearly. However, note other clues that might indicate if your loved one has a particular need. When dementia progresses to the point that your loved one cannot find the words to appropriately express what he or she is trying to share, avoid the urge to correct or judge. Pictograph cards might help your loved one convey his or her thoughts when words fail. Numerous studies indicate that keeping the mind stimulated builds new pathways between neurons, which circumnavigates around damaged areas. Encourage your loved one to learn a new skill. Perhaps he or she enjoys puzzles or crafts. Change the activities daily to challenge the brain. Researching different mentally stimulating activities and making the necessary arrangements for seniors can be an overwhelming task. Caring for a senior loved one can be challenging for families who don’t have expertise or professional training in home care, but this challenge doesn’t have to be faced alone. Family caregivers can turn to Pawleys Island Home Care Assistance for the help they need. We provide high-quality live-in and respite care as well as comprehensive Alzheimer’s, dementia, stroke, and Parkinson’s care. As thought processes slow or become disconnected, seniors with dementia need to find different ways to process information. Whether your loved one is helping in the kitchen or with household chores, break the tasks into steps that set him or her up for success. Allow your loved one to complete one step before expecting him or her to achieve the next, and praise each accomplishment. Rather than determining what your loved one might wear for the day or what foods might be part of his or her next meal, provide two options. This way, your loved one maintains control over his or her life, providing a sense of empowerment. The same holds true with activities. Your loved one might prefer enjoying an old movie with you instead of taking a walk around the block. As dementia progresses, older adults often have difficulty comprehending location and time. A talking alarm clock provides information concerning whether it is morning, afternoon, or night along with the current time, month, date and year. During general conversations, you might also casually drop helpful hints or reminders to help your loved one stay oriented. Keeping a loved one who has dementia occupied throughout the day can be challenging, but engaging in daily activities is important for boosting confidence and slowing the rate of cognitive decline. If your elderly loved one is living with a serious medical condition and needs help managing the tasks of daily living, reach out to Home Care Assistance, a Pawleys Island home care agency you can trust. 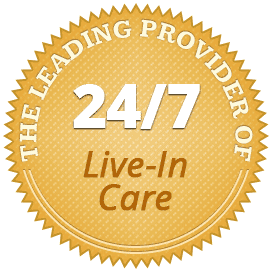 Our caregivers are available 24/7, there are no hidden fees in our contracts, and we offer a 100% satisfaction guarantee on all of our in-home care services. To hire a professional caregiver for your elderly loved one, call one of our professional Care Managers at (843) 353-3105.